Myofascial Dry Needling or MDN is a treatment approach adapted from traditional acupuncture that applies fine needles to the musculoskeletal system to deactivate trigger points or more commonly referred to as "knots". MDN is effective for a wide variety of ailments from chronic back and neck pain to more acute sporting injuries such as sprained ankles and torn muscles. 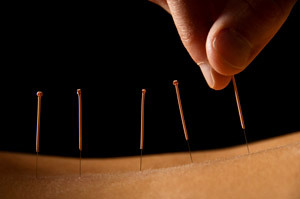 It must be understood that acupuncture and dry needling techniques may be similar but their rationale and use in treatments are very different.